Episode six sees Chris Charlton and Pat Laprade look at 1994, which saw Hulk Hogan back in the Tokyo Dome, and Genichiro Tenryu pick up a signature win over Antonio Inoki in NJPW. Then, All Japan Women’s takes center stage in the biggest women’s wrestling event in history. To put Big Egg Universe in a broader context of women’s wrestling in the present day and a global scale, Chris is also joined by Dann and Emily Read from Europe’s largest women’s wrestling promotion, Pro Wrestling EVE. 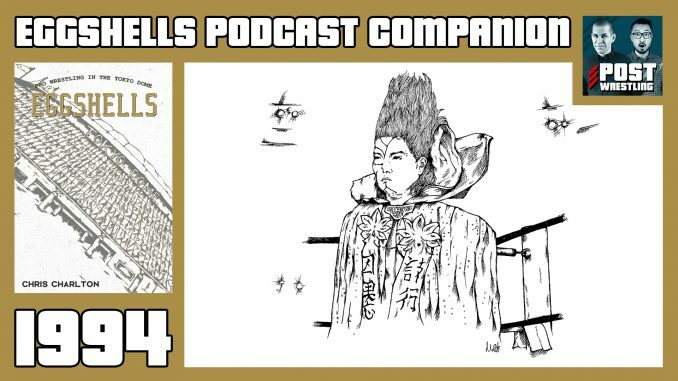 The podcast is an audio companion to EGGSHELLS: Pro Wrestling in the Tokyo Dome, available now!